A 26-year-old woman wanted in connection with the murder of a man who died after being shot with an arrow in northeast London has been arrested. Amanda Tait, of no fixed address, is charged with being an being an accessory after the fact to murder in the death of Brian Peter Maksoud. The charge against Tait was announced late last week, when a warrant for her arrest was issued. London police took her into custody on Saturday. She is scheduled to appear in London court in relation to the charge Monday. 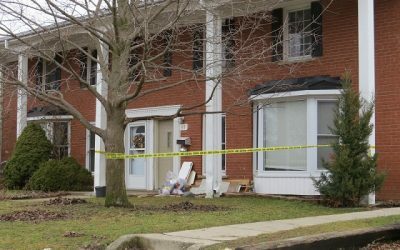 Maksoud was found suffering from a wound from an arrow at a home on Arbour Glen Crescent, near Kipps Lane on February 5. The 46-year-old was rushed to hospital for emergency surgery, but died from his injuries hours later. His death was the city’s second homicide of 2019. Kevin Brandon Hartman, 35, of London was originally charged with second degree murder in Maksoud’s death. That charge was upgraded to first degree murder last Thursday. A second man, Paul Wayne O’Connell, 47, of London also faces a charge of being an accessory after the fact to aggravated assault in relation to the incident.